The increase in the number of people who are suffering from stress, work-related stress specifically, has been dramatic over the recent years. Everyone in the business can be affected, from the company manager to the lower wage earner: Stress in the workplace is a common demon of the modern age. 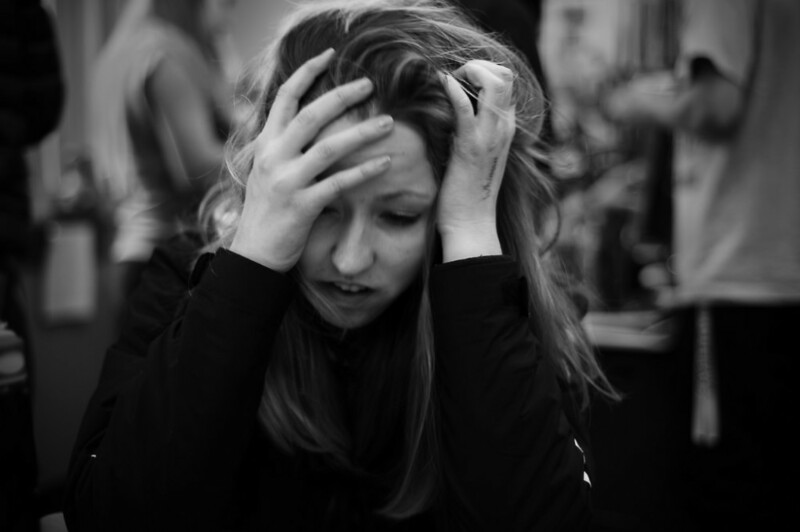 Many employees fail to notice that they are overstressed. Whether it’s a form of habit that has built up and forced them to ignore their condition, or whether they are so much under pressure that they have lost touch with the reality of their existence, the fact is: You could be falling victim of your stress levels, and you might not even know it. Stress can cause a variety of health troubles that you can’t ignore even if you are trying to: They become a handicap in your everyday work and life. So if you are suffering from any of the following health conditions, be aware that they could be caused by stress! Headaches and migraines in the office can be wrongly attributed to the screen light. In truth, the light from your computer or your laptop is not sufficient to cause any problem. So before you pop an aspirin, you may want to rethink your situation. Headaches and aggravated headaches or migraines with nausea, light sensitivity, and even vertigo are often a direct consequence of stress. If you experience these often, it’s time for a holiday! In the meantime, you can try these natural remedies for one of the most unmanageable side-effects of a stress-induced migraine: Vertigo. As you will soon notice, most remedies focus on relaxing and eating healthy foods, which will also help you to release your stress level. If you tend to have difficulty concentrating and focusing your thoughts, or if you feel that you can’t put up with the tasks that are expected from you, these might be the first signs of a depressive mood. More obvious symptoms combine feelings of worthlessness, isolation, loss of appetite and suicidal thoughts. However, you may want to act rapidly before you hit rock bottom and fall into the vicious circle of depression. Constant stress can facilitate the apparition of depressive and low-esteem symptoms, so it is important to acknowledge that the way out of depression could be to look for a change of career or employer. If you find yourself struggling to get your weight under control, whether you are getting too skinny or experiencing high weight gain, you need to understand that stress can have a lot to answer for. There are two types of reactions to stress: Some people lose their appetite, others try to find comfort in food. A recent study has revealed that worrying can increase the presence of the hunger hormone, which can lead to over-eating. Additionally, skipping meals, as it often happens when you are under pressure, can slow down your metabolism and increase the calorie absorption when you then eat. Finally, a lot of people under high-stress levels tend to indulge in emotional eating habits, which means that food is used as a reward that has been earned after a particularly tense event, such as a stressful meeting or an encounter with an angry client. Think about yourself, don’t let stress eats for you.